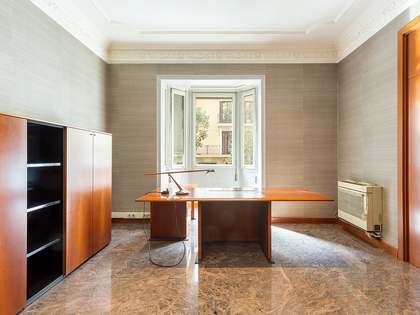 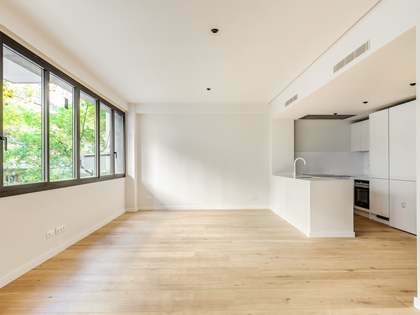 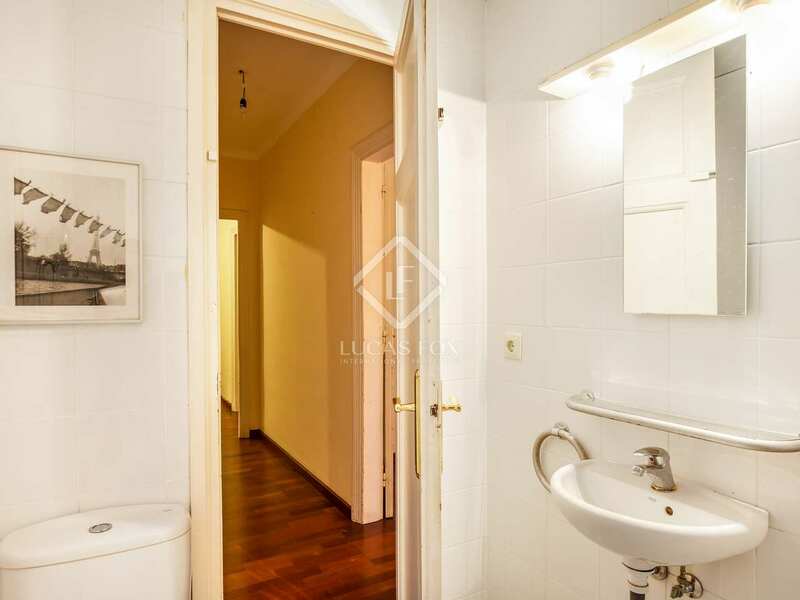 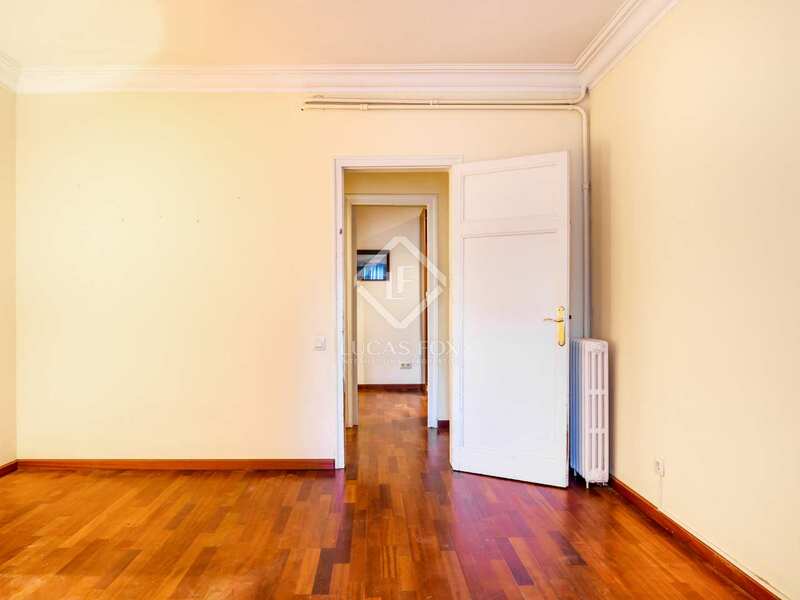 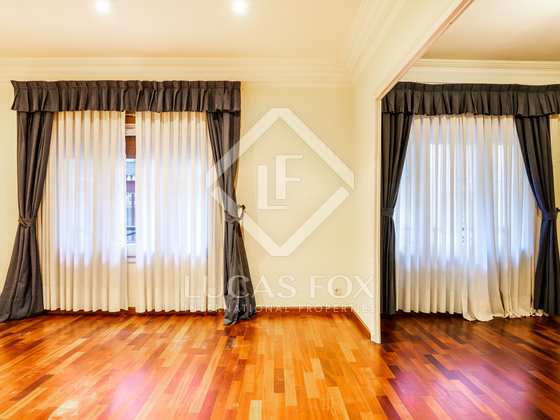 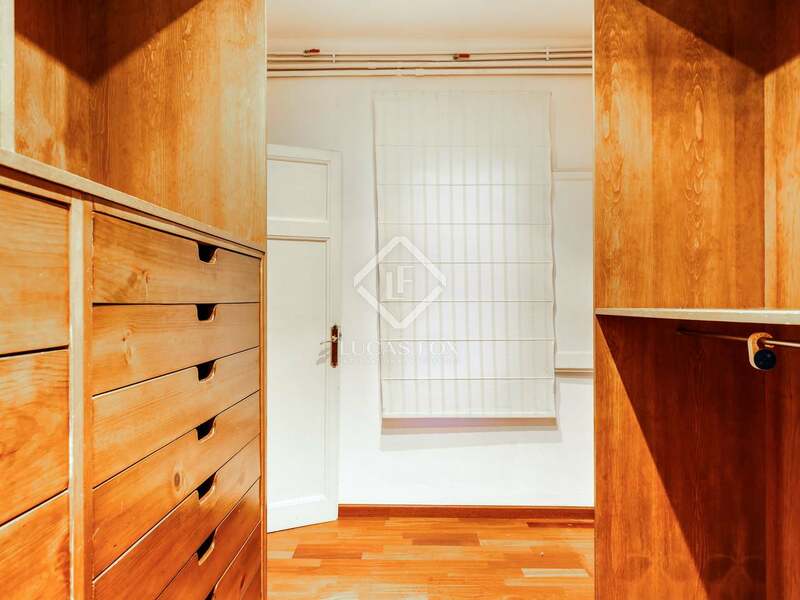 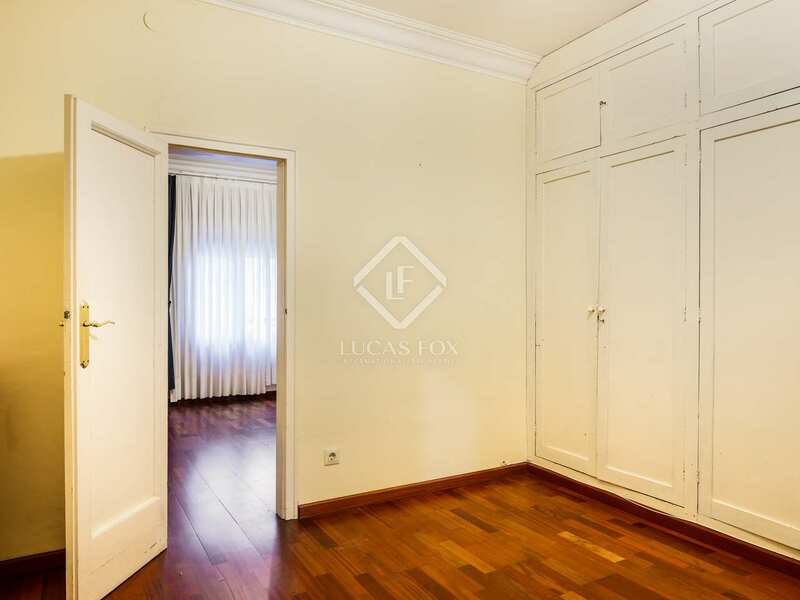 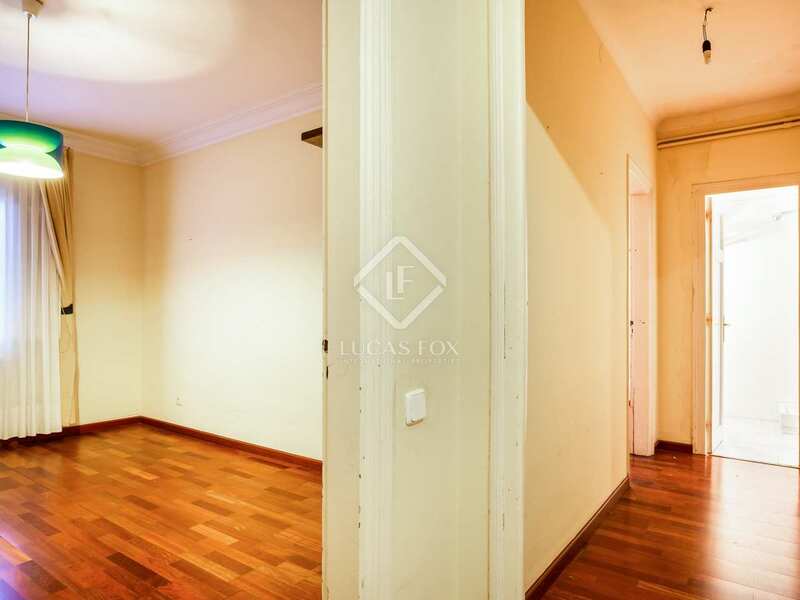 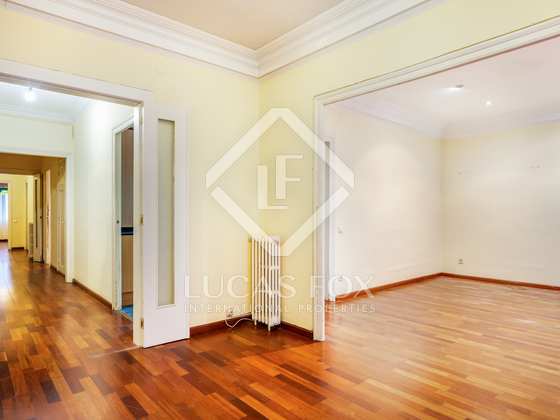 Spacious and comfortable apartment with great renovation potential in one of the most sought after areas of Barcelona. 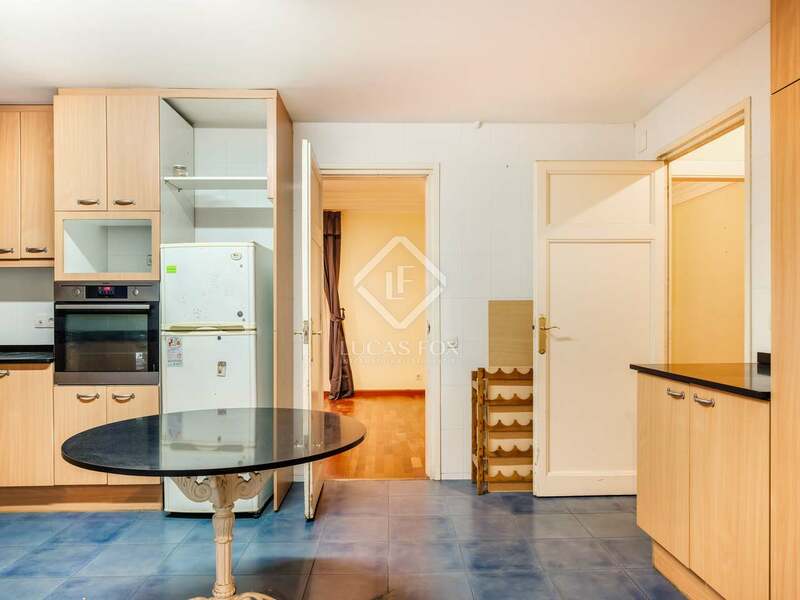 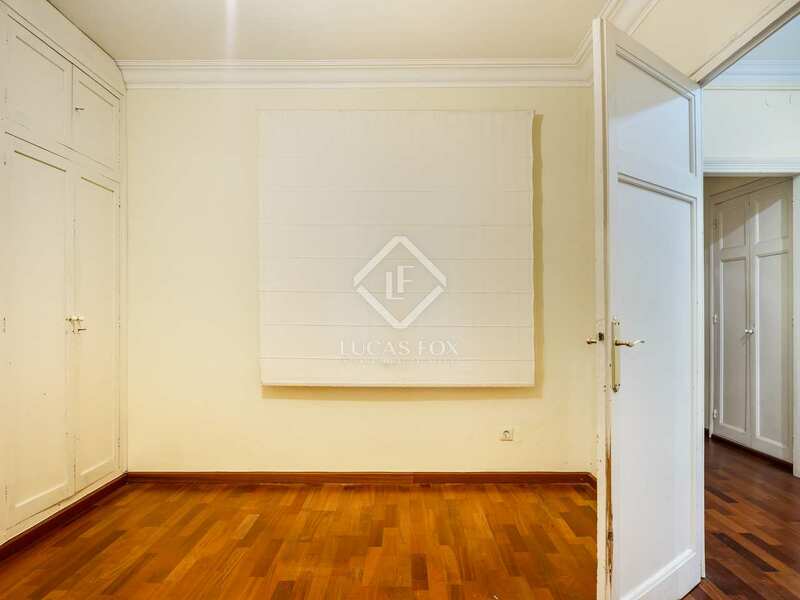 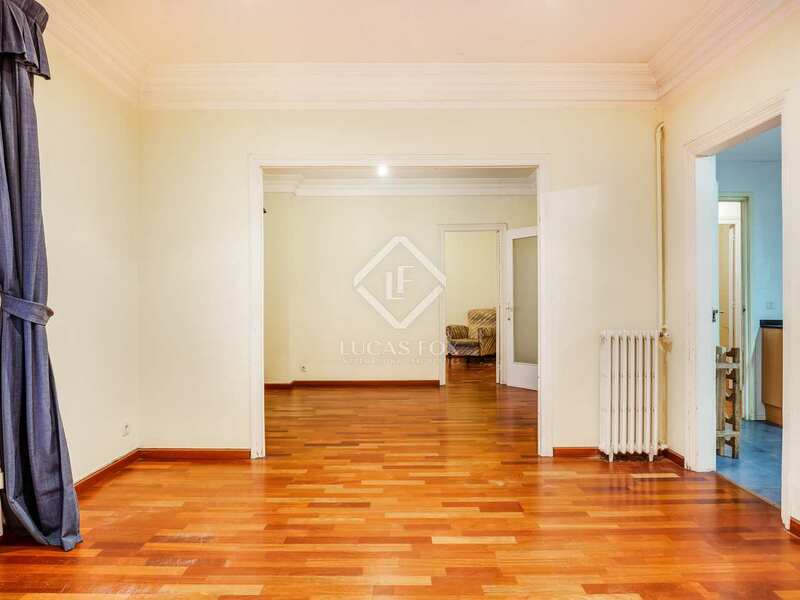 This spacious 172m² apartment, in an unbeatable location, has excellent renovation potential. 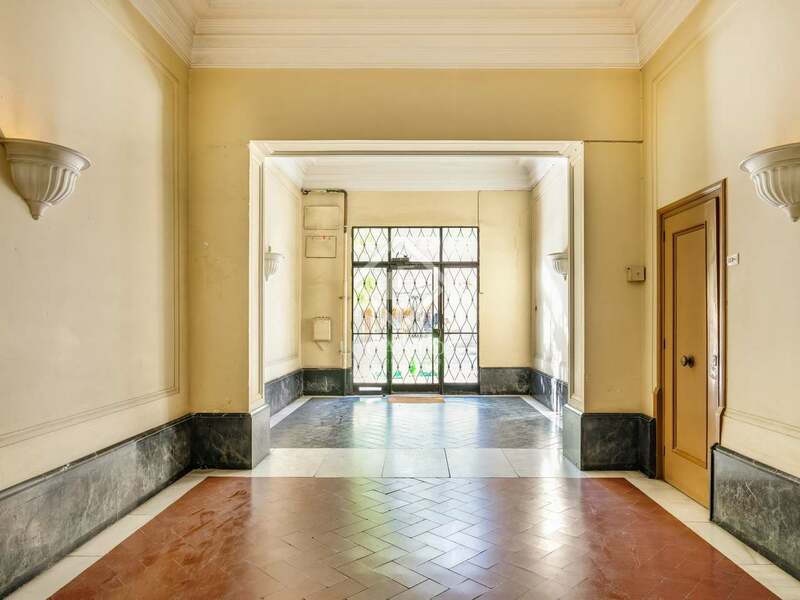 The property benefits from spacious rectangular rooms, connected by a wide corridor, and offers many different renovation options, ensuring maximum use of space and with the possibility of having up to 5 bedrooms. 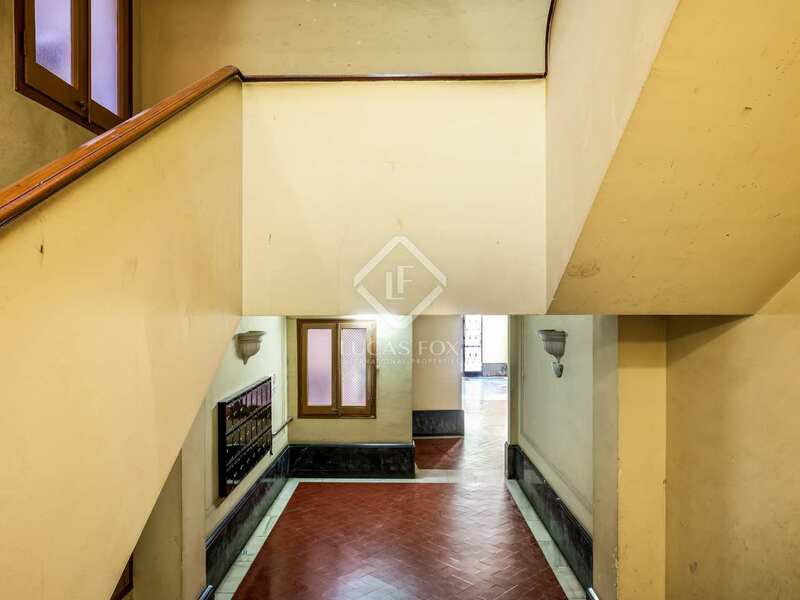 It is located in a building that dates back to the year 1950 with a lift and concierge service and where community expenses are not high. 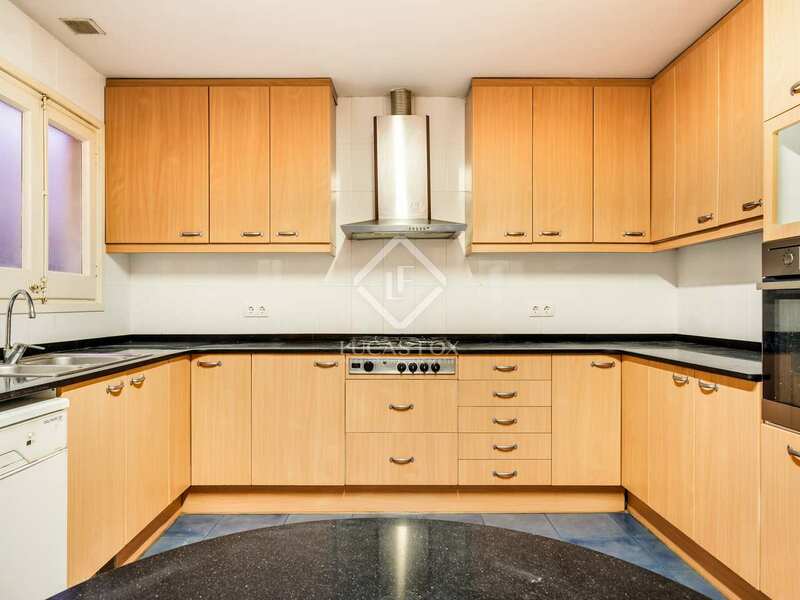 An ideal opportunity to renovate a spacious and comfortable family home in the city. 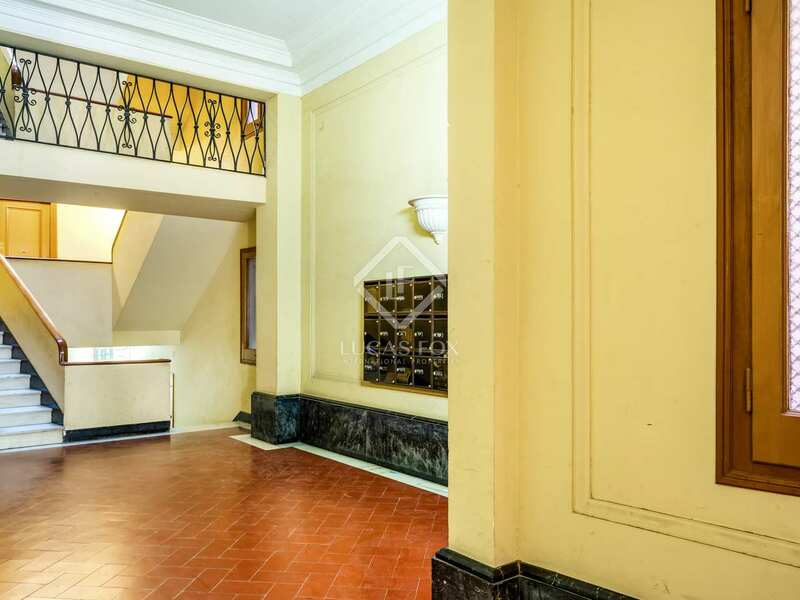 We are welcomed into the apartment by an entrance hall. 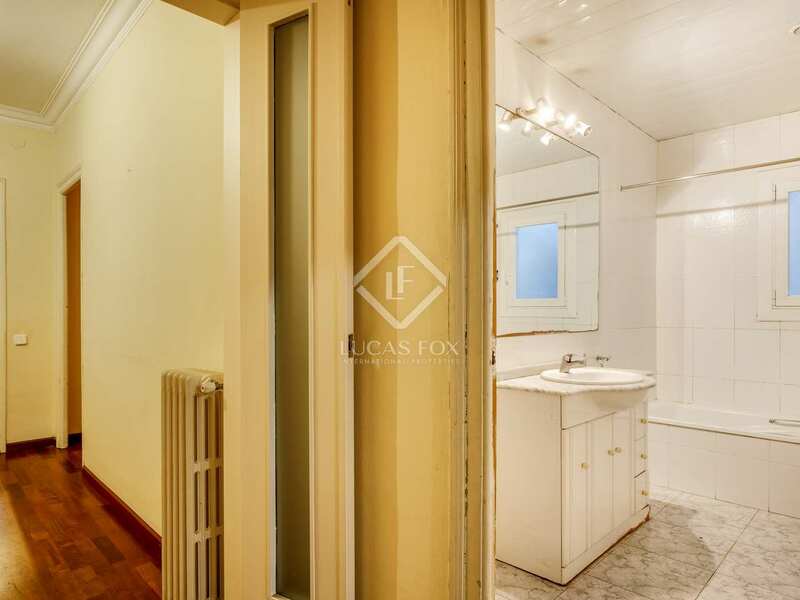 To the left, a corridor leads to the night area, with 2 double bedrooms, a complete bathroom and a room currently used as a dressing room but which could alse be converted into an additional bedroom. 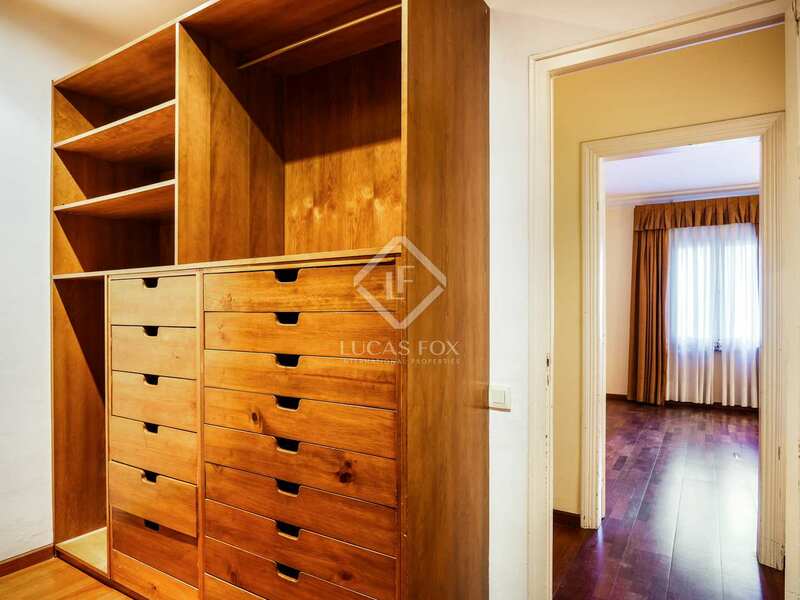 To the right of the hall there is a practical linen closet. 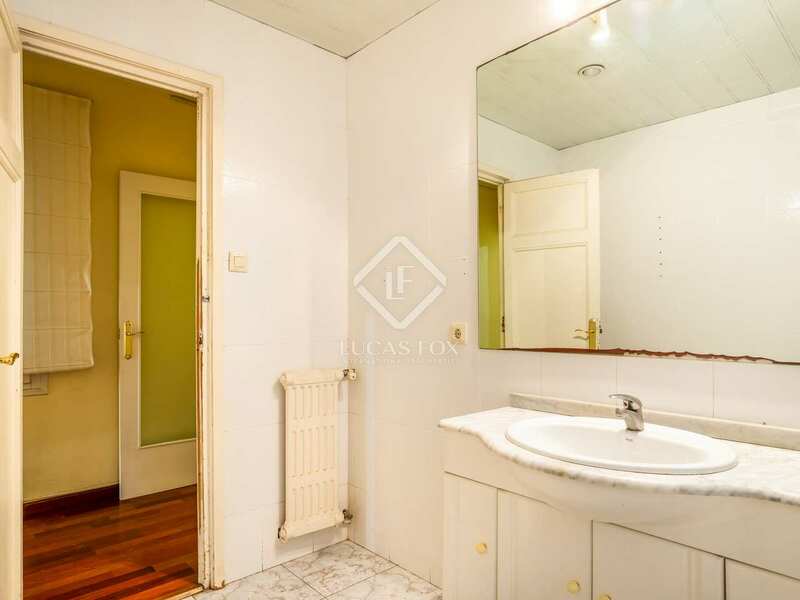 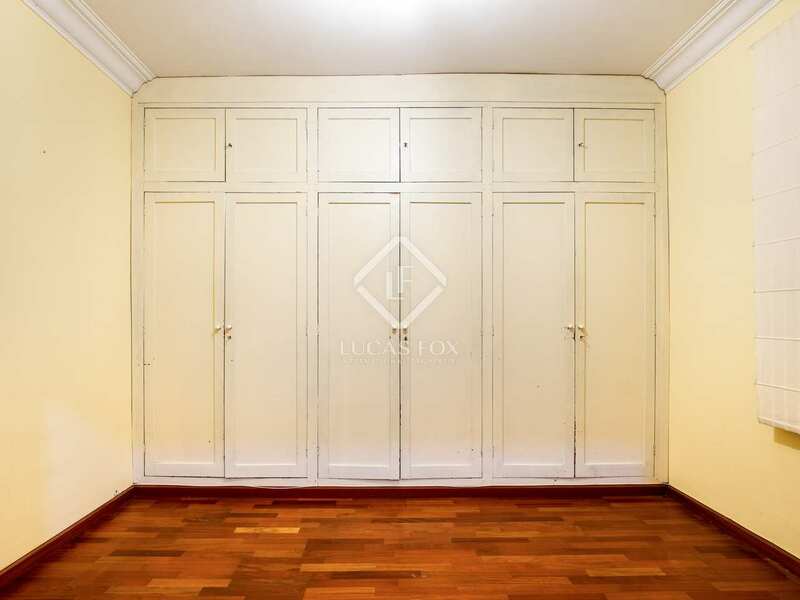 On this side of the apartment the corridor leads to the remaining rooms: a second bathroom, a storage room and a space currently used as a utility and ironing area but which could be used as a bedroom. 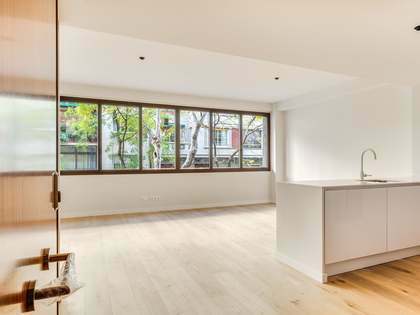 The large kichen can be accessed both from the hallway and from the living room whilst the spacious living-dining room has a window overlooking the street and therefore enjoys great natural light. 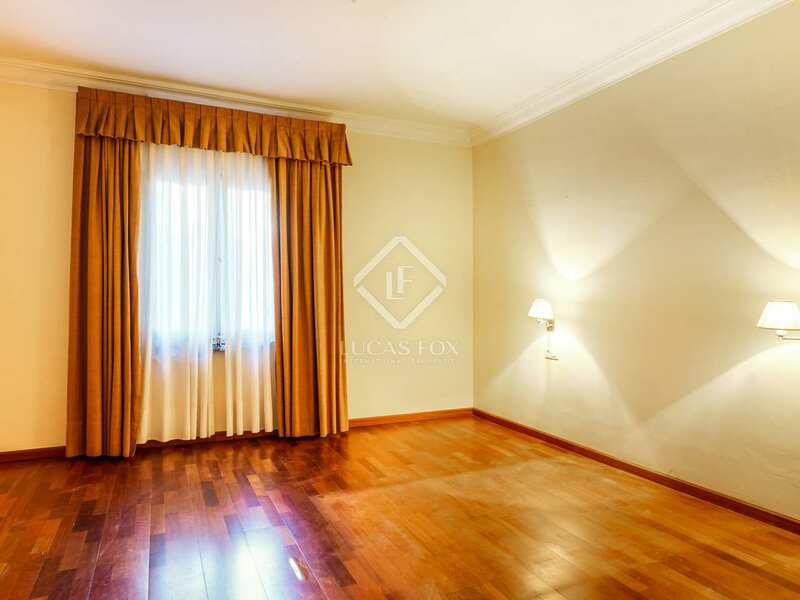 From the living room we access the final double bedroom; a large space with a window onto the street. 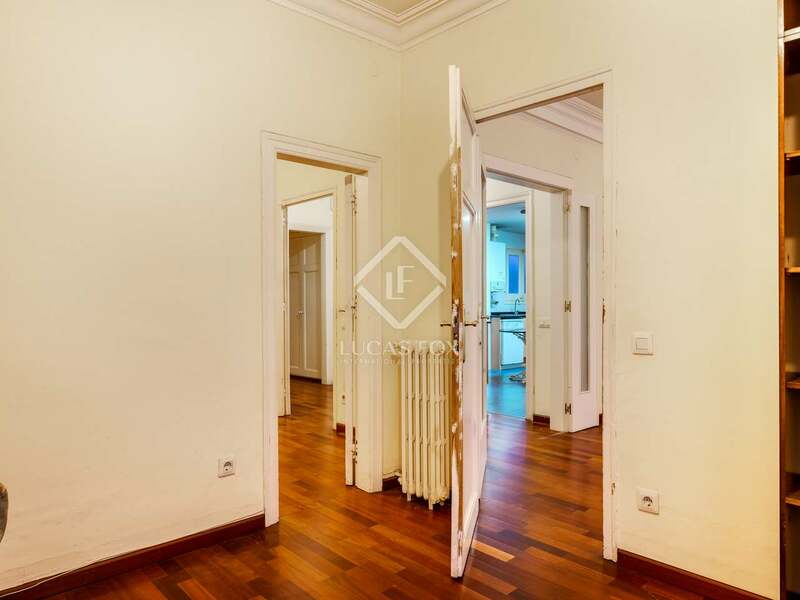 This last room is separated from the living room by a partition wall, so it would be possible to demolish it in order to create an even larger room. 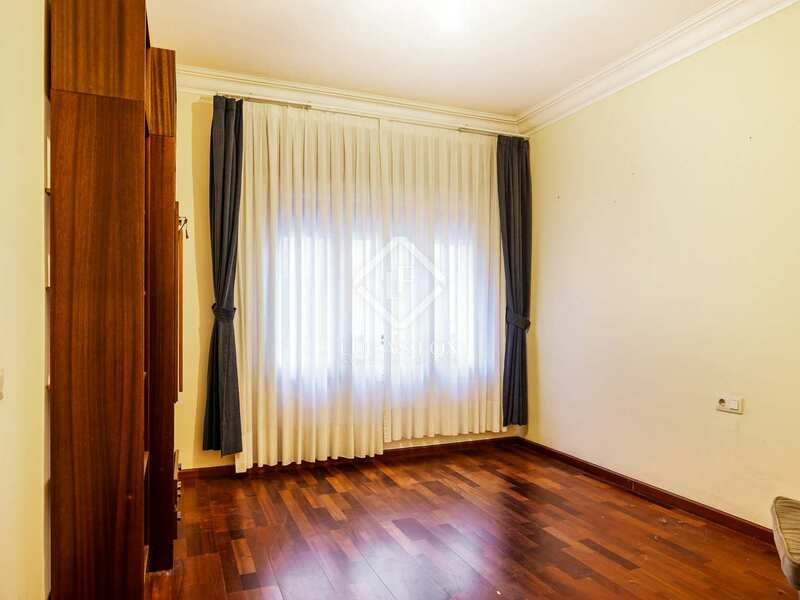 The property has wooden floors, although it is not salvageable in all rooms. 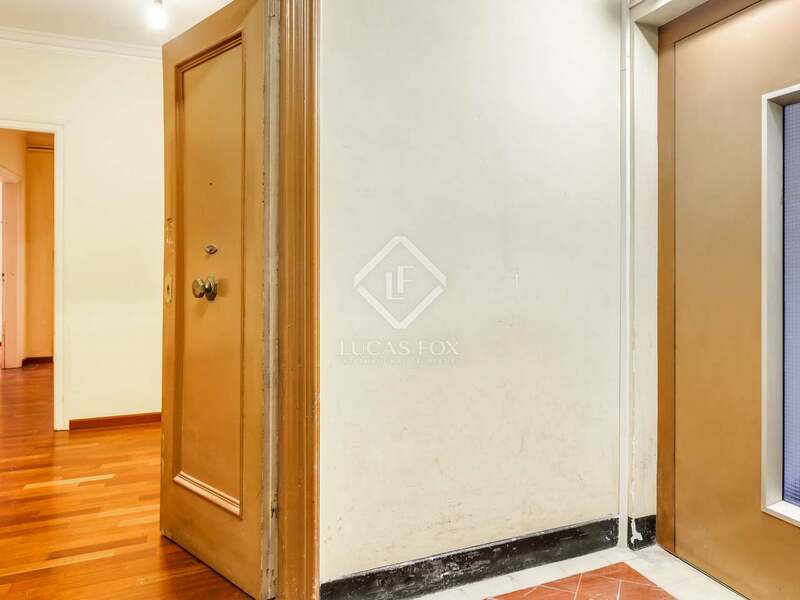 Although the building does not have a private garage, a few meters down the same street there is a garage with spaces available for rent and sale. 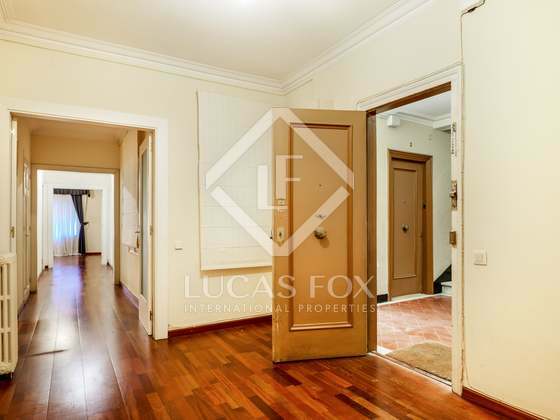 Contact us to visit this apartment with the potential to become an ideal family home. 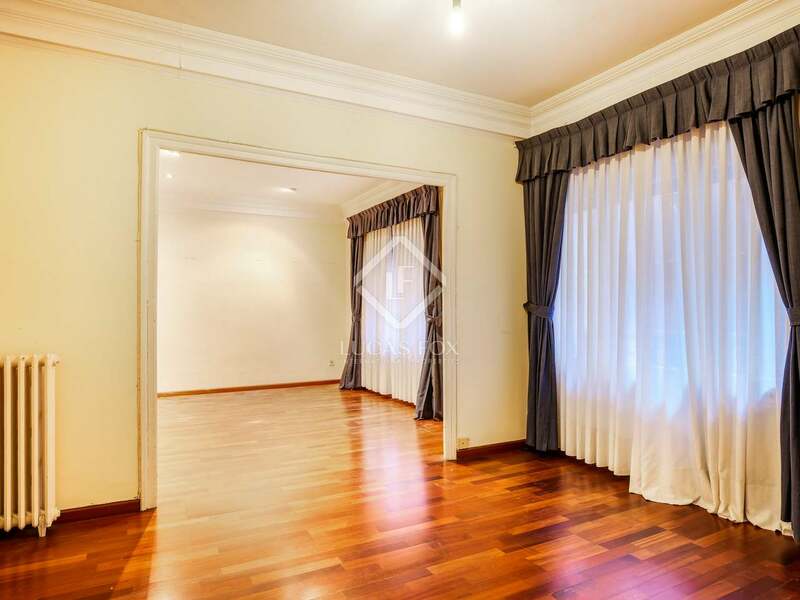 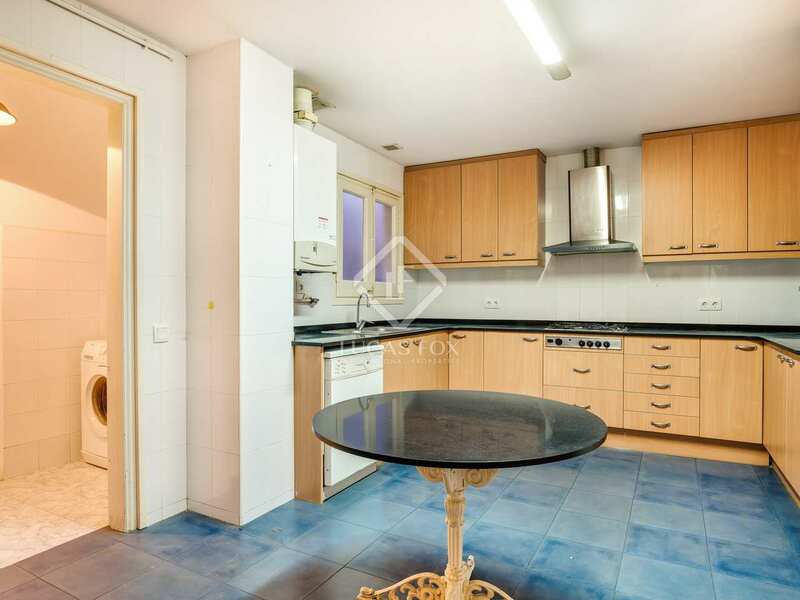 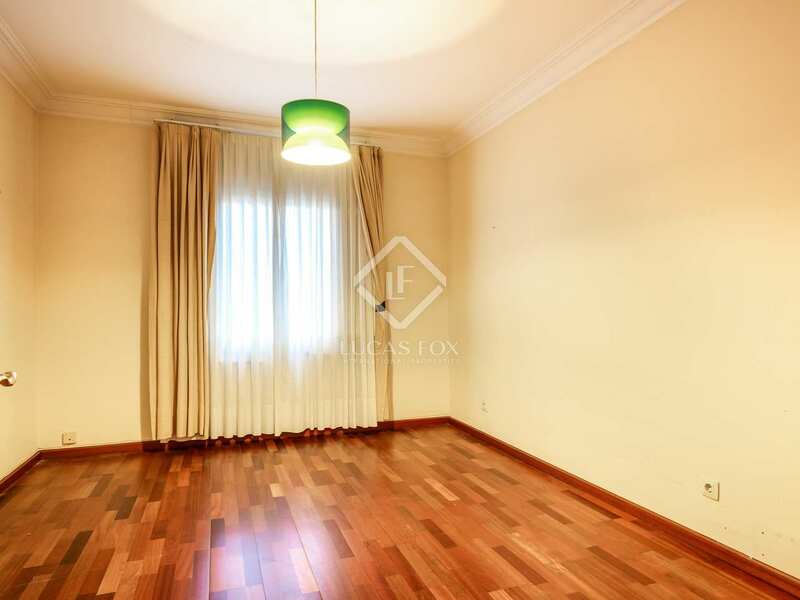 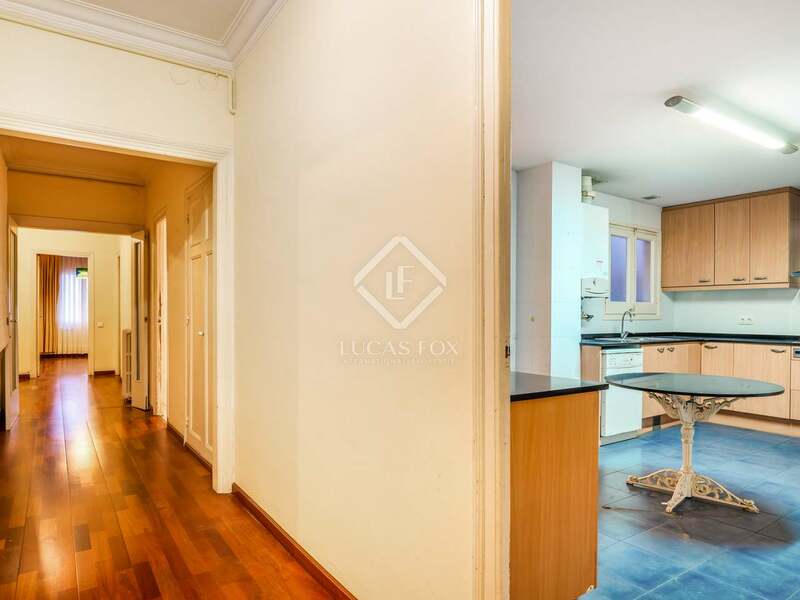 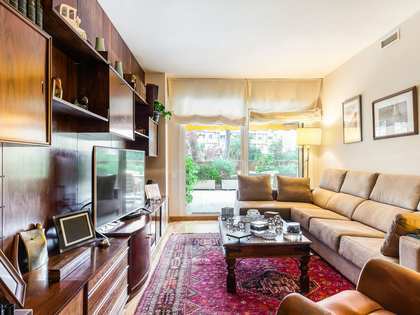 This property enjoys an excellent location in a family friendly neighbourhood: it is 2 minutes' walk from Plaça Bonanova and 3 minutes' walk from Plaça Frederic Soler, which has a neighbourhood market. 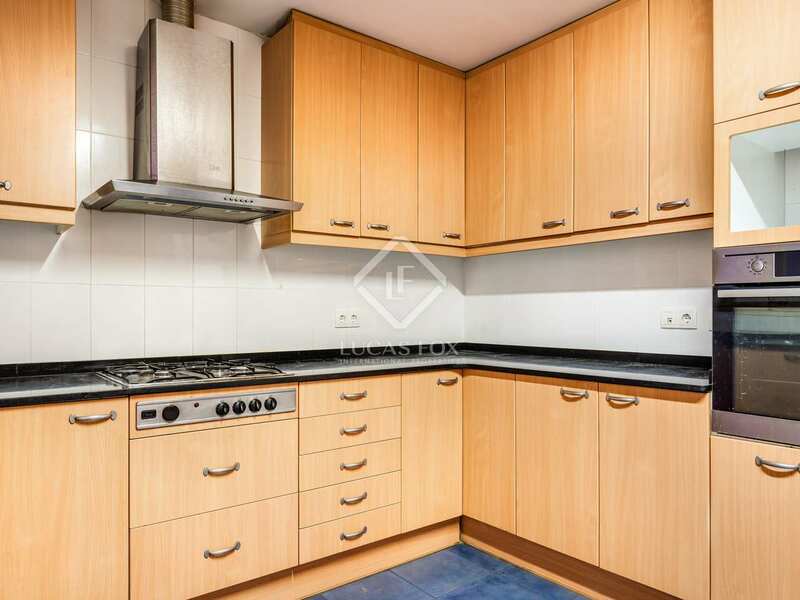 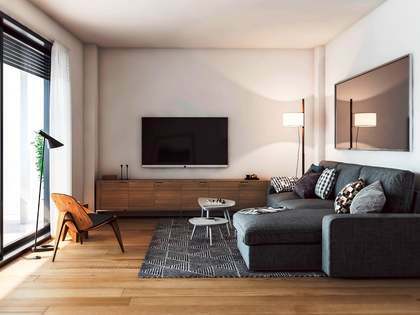 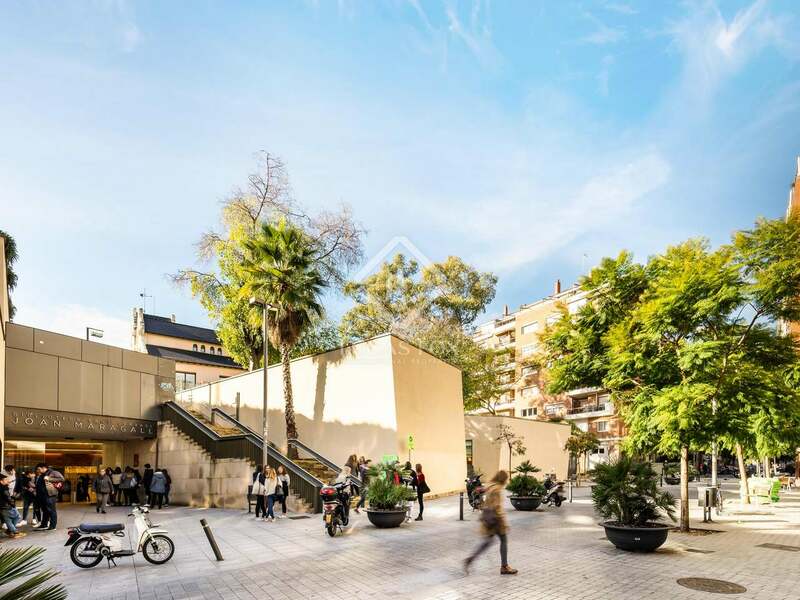 The apartment is also near Carrer Mandri, which offers bars, a great supermarket, gyms, 24-hour pharmacy, banks and coffee shops, among others. 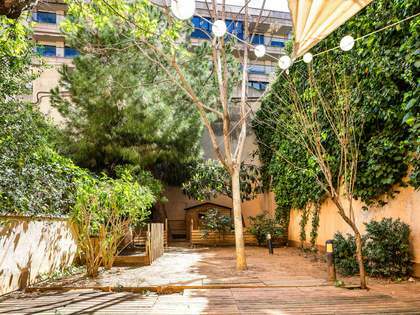 The surroundings are peaceful, and with little traffic. 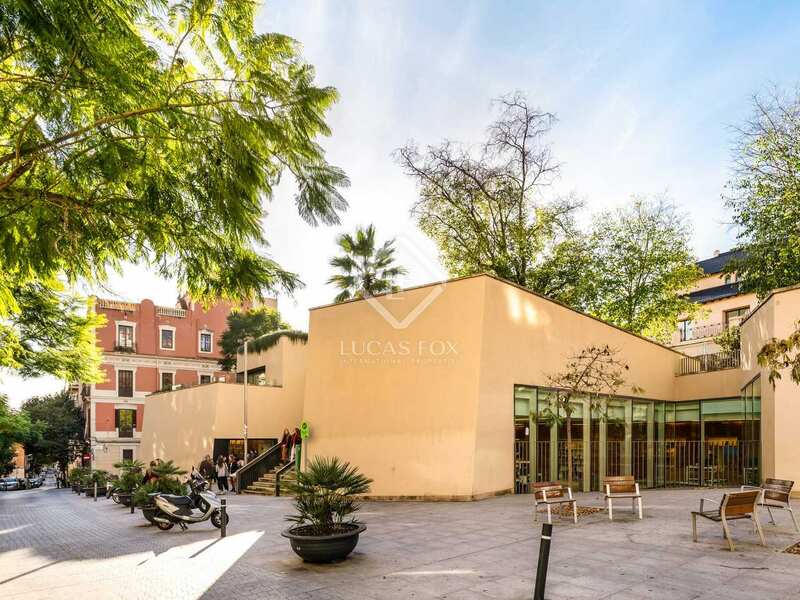 In addition, the area enjous great bus and rail services (stop at Putxet and at Plaça John F. Kennedy).